Pop culture can be as forbidding as it is inviting, particularly in areas that invite geeky obsession: The more devotion a genre or series or subculture inspires, the easier it is for the uninitiated to feel like they’re on the outside looking in. But geeks aren’t born; they’re made. And sometimes it only takes the right starting point to bring newbies into various intimidatingly vast obsessions. Gateways To Geekery is our regular attempt to help those who want to be enthralled, but aren’t sure where to start. Want advice? Suggest future Gateways To Geekery topics by emailing gateways@avclub.com. Why it’s daunting: First impressions can be misleading. These days, Randy Newman is most visible thanks to his almost-annual appearances at the Academy Awards, where he’s frequently nominated for Best Original Song or Best Original Score, most often for his fine, kid-friendly contributions to Disney and Pixar movies. 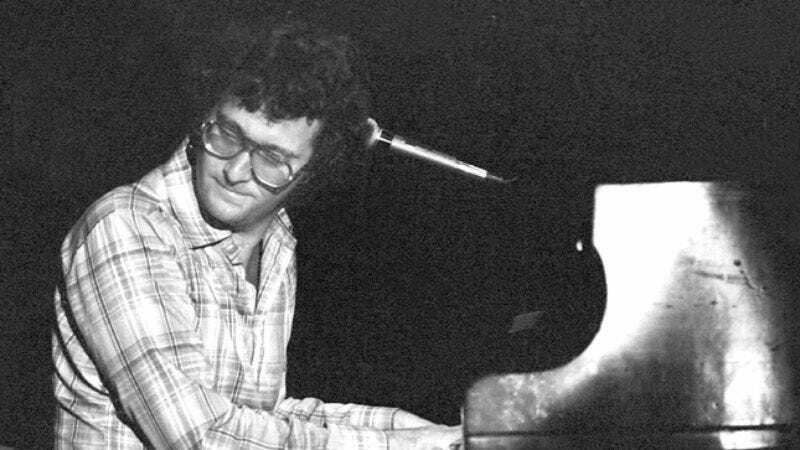 Prior to that, Newman enjoyed some of his biggest hits with 1977’s “Short People” and 1983’s “I Love L.A.,” both of which could be mistaken for novelty songs unless listeners take a moment to unpack the lyrics and discover, respectively, a song about the absurdity of prejudice and a poisoned valentine to the town Newman calls home. None of these make a bad first impression, but neither do they reveal Newman as one of the finest songwriters of his time. Starting out as a respected songwriter in the Brill Building style, Newman branched out into recording his own songs beginning in the late ’60s, thriving in the singer-songwriter scene of the ’70s, but never fully fitting into it. With little interest in autobiographical confessions, Newman started singing from the perspectives of specific, often unsavory characters. The elusiveness and ambiguity can make Newman’s songs daunting, but they’re also one of the most rewarding aspects of Newman’s craft. Why: Of the three stunning albums Newman recorded at the beginning of the ’70s—12 Songs, Sail Away, and Good Old Boys—Sail Away provides the easiest point of entry into Newmanville. It opens with a title track that establishes the sweeping beauty of his songwriting and the attention it demands. Lush strings and muted horns accompany an encomium of America that slowly reveals itself as a slave recruiter’s slave pitch. “You just sing about Jesus and drink wine all day,” goes one selling point, and the stirring melody completes the seduction. The song never mentions the strings attached to the deal, counting on listeners to discern the evil for themselves and recognize the racial divisions of the present as a direct result of the American original sin it describes. That isn’t the album’s only seduction: The would-be lover of “You Can Leave Your Hat On” has obsessively specific instructions for fulfilling his kinks, but also a bottomless sense of need that finds him repeating “you give me reason to live.” But his demands seem positively wholesome compared to the unfulfilled superstar of “Lonely At The Top,” who tells his fans “go on and love me, I don’t care.” (Newman composed the track for Frank Sinatra, who never got around to recording it for some reason.) God makes a couple of appearances, too: First as the subject of “He Gives Us All His Love,” which details all the affection God has for us as He watches us strive and die down below. It’s either the most reverent song in the Newman catalog or the saddest, depending on how you look at it. Then there’s the monstrous God of “God’s Song (That’s Why I Love Mankind),” who stays endlessly amused watching humanity kill each other, call out to heaven, and keep on singing His praises no matter how bad things get. It’s a vision of God as self-serving con man, the kind of fellow right at home in a Randy Newman song. Next steps: As good as Sail Away is, the two albums around it are even better. Released in 1970, 12 Songs—Newman’s follow-up to his good-but-tentative self-titled 1968 debut—featured Newman working at the top of his abilities. Produced by Newman pal Lenny Waronker, with strong instrumental support by Ry Cooder, Clarence White, and others, 12 Songs features an assortment of desperate, deluded characters, from the jealous lover of “Have You Seen My Baby?” to the too-square-for-the-party subject of “Mama Told Me Not To Come” to the shady narrator of “Suzanne,” who has a dangerous-sounding response to a “for a good time, call” pitch. The album also mixes the sweet with the bitter. Surrounded by loud, angry anti-war songs, Newman took the subversive route with “Yellow Man,” a jaunty number that simply states the shared humanity of people of all races without putting too fine a point on it. Released in 1974, Good Old Boys is Newman’s masterpiece. A concept album about the American South—both past and present—and the people who live there, it’s alternately, and sometimes simultaneously, lovely, funny, and scathing. “Louisiana 1927” recalls the devastation of a 1927 flood and the maddening indifference to its effect on the poor from the powers-that-be. (Unsurprisingly, it gained a second life in the wake of Hurricane Katrina.) “Birmingham” offers praises to the “greatest city in Alabam’” from the perspective of a native son who’s clearly never seen the rest of the world. Newman, on the other hand, had. He spent much of his childhood shuttling between Los Angeles and New Orleans, and the album benefits from a lifetime of careful observation. That’s never more evident than on “Rednecks,” the album’s opening track, which finds Newman assuming the point of view of an unrepentant racist proud of the South’s tradition of “keeping the niggers down” in order to make a point about condescending Yankee hypocrisy. Where not to start: Released in 1968, Randy Newman features some terrific songs, but lacks the consistency of Newman’s best albums. After Good Old Boys, Newman’s output starts to get a bit uneven and then infrequent, as film work started to take the place of pop songs. (As the nephew of Lionel, Alfred, and Emil Newman and cousin of Thomas and David Newman, Randy seemed destined to write music for movies.) The albums Newman released between 1977 and 1988 are all worth exploring, however, just not before hearing his best work. Little Criminals, Born Again, Trouble In Paradise, and Land Of Dreams—the lattermost half an autobiographical concept album—feature first-rate songs next to missteps and less-than-timeless production touches. But even the soundtrack to the failed musical Randy Newman’s Faust has a couple of tracks worth rescuing from obscurity, and Newman’s two most recent collections of new material—1999’s Bad Love and 2008’s Harps And Angels—are strong. Though the cartoons take up a lot of his time these days, Newman’s humane, unsparing wit remains undimmed.